I took the opportunity to go to the France Show in a beautiful Yorkshire town of Wetherby on the 19th May. As a relocation expert, I’ve been to the France Show at the Olympia in London but I had never made the Wetherby show in Yorkshire and yet its practically my place of birth, give or take a few miles ! I really wanted to know if people’s vision of France had changed due to Brexit? I wasn’t quite sure what to expect as of course it was the day of THE ROYAL WEDDING. Now moving or living in France can be a bit of a challenge! How do I know this you might ask? Well I when I moved here over 25 years ago, it was pretty complex and quite frankly things really haven’t changed that much. France is well known for good cheese & wine but surprisingly also well known for its difficult bureaucracy. So your vision may be to live in this beautiful country but you seriously need to be on a mission to Make it Happen! I spend the majority of my time helping expats who are already living in France troubleshoot their paperwork and trying to help them integrate into the French system. Its often more complicated once people are here so I wanted to meet some people BEFORE they got here, help them understand that paperwork preparation is also important and a consult with me can help enhance the speed at which they get into the system. The problem is they are often still on the vision and forget the mission ! So I had some great conversations with some local people who were looking to move over and Brexit far from stopping people from moving over is accelerating the movement. Everyone I spoke to had just decided to ‘get on with it’. One lady shouted out that she had found ‘her dream home’ just as she left the show. I wish I could have gotten her name!! A lot of people of course are secondary residents of France so not affected by Brexit. I was very pleased to see that the show was busy and that the royal wedding hadn’t put of people’s motivation to find out more about Moving, Living & Working in France and finding their dream home. The information seminar held by Barbara Heslop from Heslop & Platt on understanding the buying process was full to overflowing. Some great top tips were giving on ensuring that you ask the right questions when buying. The same can be said for the Blevins Franks International meeting with a good overview on tax planning and some tax implications were highlighted in a very simple and straight forward manner. Of course there was a screen for us to see ‘the dress’, so no one missed out. 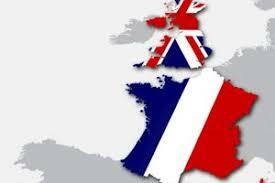 On a more serious note, if you are planning of moving to France, then paperwork planning is key to a smooth transition. Don’t let your vision be overwhelmed by the mission and ensure you get the right advice from the people who know best! See you at the next show maybe?